If you’re ready to take control of your health and get back to doing what you love, you’ve come to the right place. 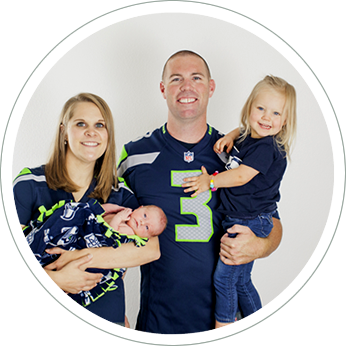 At Siler Chiropractic, Spokane Valley chiropractor Dr. Adam Siler aims to work with patients of all walks of life building custom care plans to fit their exact needs and goals. When you choose us for your care, we want you to feel like a part of the family—because that’s what you are! At our practice, it’s our number one goal to help you overcome dis-ease naturally and get your body working properly so that it can continue to repair itself for years to come. With chiropractic care, we’ll address muscle and nerve complaints to help restore balance to your spine without the need for prescription pain medications or surgery. Many of our patients are thrilled to find that after treatment, concerns they didn’t even let us know about get better. It’s our hope that you’ll feel happier, sleep better, move better and feel that everyday life simply comes easier. We’re proud to go beyond chiropractic adjustments and recommend nutrition plans, exercises and strength treatment to help you get back to being your best. We’d love the chance to help you experience your full health and wellness potential. If you’d like to learn more about how chiropractic care can improve your life for the better, contact us today to get started. give us a call and we can verify your benefits. Always an amazing experience. My family is always treated like their family when we visit. I like the company. I like the people that are there. Very friendly people. Thanks for unsticking my guarded posture. I have continued care with Dr. Siler and plan to work with him to have a healthier, happier life.